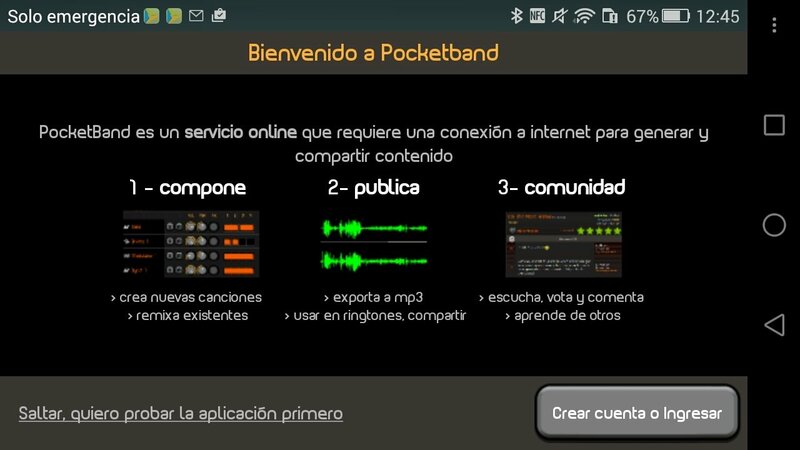 With PocketBand downloaded to your Android smartphone or tablet you'll be able to get hold of a great mobile audio sequencer with which you can generate music very easily. 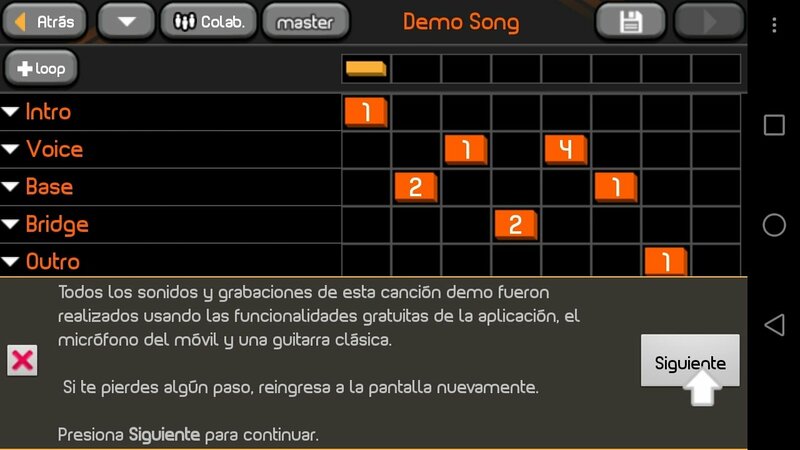 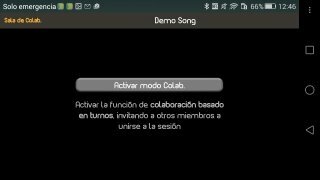 By downloading this APK you can create high-quality songs using all sorts virtual instruments, loops, modulations, mixes and recordings. 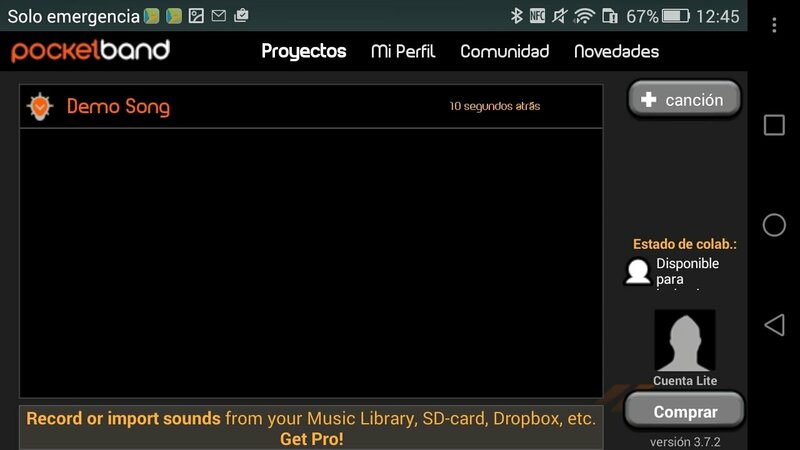 Powerful application to create music on Android. But, in addition, this DAW for mobile devices comes along with the added feature of being an application with important social functions so that you can write music together with your friends and save your creations straight on the cloud. 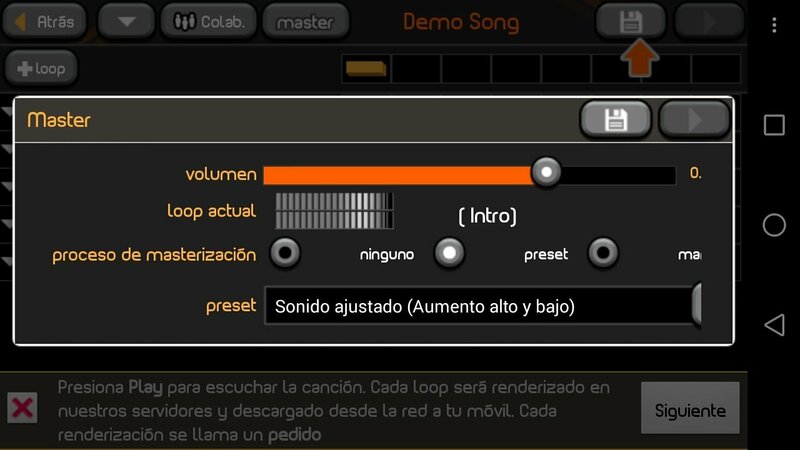 Polyphonic synthesizer with 125 virtual instruments. Drum boxes with over 35 drumkits available. 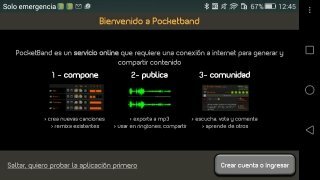 Sound recorder that uses built-in microphone. 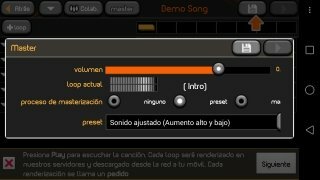 Delay, flanger, chorus, reverb, phaser, distortion and compression effects.